Mix & Mingle Networking Event - Click Here! Network with area professionals & expand your referral network on Wednesday, 4/24, 4:00 pm - 6:00 pm at the Lazy Chameleon, 4028 Presidential Parkway in Powell. For more information, contact Anne Farley, at 614-398-9333 or via email at CRD.Powell@ganzhorn.com..
At The Ganzhorn Suites, families find confidence and peace of mind in our clinical expertise and extensive knowledge of Alzheimer’s disease and dementia; but it’s our guiding principles that INSPIRE. Individualized – We believe each resident experiences his/her own unique journey, so our care and programs are specifically tailored to individual needs, strengths and abilities.From our four different households to our caregiver assignments, your loved one with receive the personal attention they need. Nurture – We nurture and care for residents as though they are family. Our memory care team doesn’t treat dementia as the end. Your loved one will have opportunities to learn and grow at our care center. 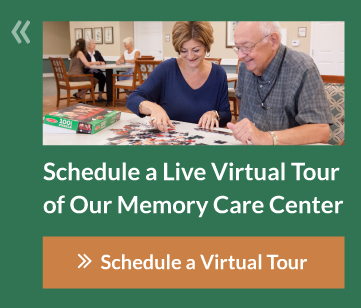 Support – Our goal is to support and become an invaluable memory care resource for families, as well as for area referral sources and professionals, on all things related to Alzheimer’s and dementia care. We have networking events and support group meetings for families who want to learn more about memory loss, and we host seminars on memory loss with experts including Teepa Snow and our medical director Dr. Douglass Scharre. Personal – Our mission is deeply personal. Our personal experience with memory loss is a driving force behind our commitment to set new standards in memory care.The Ganzhorn Suites was built because of our founder’s experience caring for her grandmother with Alzheimer’s disease. Innovate – We focus on innovation and best practices in environmental design, care, technology, programming and operations with a goal of helping residents retain their cognitive capabilities for as long as possible. Respect – Providing respectful care is at the heart of everything we do. Expertise – We hire the most experienced, compassionate professionals who embrace and celebrate everything our residents do. Everyone who works at The Ganzhorn Suites in Powell, Ohio is a Certified Dementia Practitioner ®, having earned the credential that recognizes the highest standard in Alzheimer’s and dementia care practices. Share your email address with us to stay in touch and receive more information about The Ganzhorn Suites.